The Pupils received their awards at a ceremony at St Andrew’s Academy. 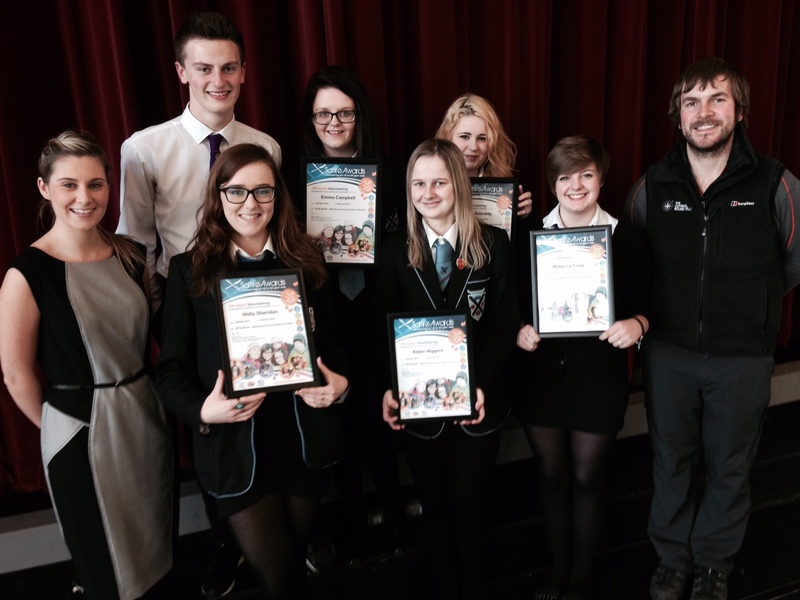 A group of campaigning pupils from across Paisley have had their efforts to tackle sectarianism recognised. Pupils from Gleniffer High, St Andrew’s Academy and Paisley Grammar have been working with anti-sectarian charity Nil by Mouth and the Mark Scott Leadership for Life Scheme on a peer education programme which has seen them plan and deliver anti-sectarian workshops in primary schools across Renfrewshire. Charity bosses were so impressed with their efforts that they arranged for the pupils to participate in the nationwide Saltire Awards scheme which formally recognise the commitment and contribution of youth volunteering to voluntary organisations. The awards enable young volunteers to record the skills, experience and learning gained through successful volunteering placements provided by local and national voluntary agencies. At a ceremony at St Andrew’s Academy the six pupils were presented with Saltire Awards, signed by Deputy First Minister John Swinney, in recognition of the hundreds of hours of volunteering time they had given to the project.